Plans are proceeding well for the two day Functional Foods and Edible Oils – The Future conference in November. Eighteen of the twenty two speakers are now virtually confirmed and we will be putting the programme and brochure on the website in about a month. Note that sales of the book “Handbook of Australasian Edible Oils” are continuing but take-up is a little slow and we encourage people to visit the website and take advantage of the offer. Over the years this author has been accused of exaggerating the frauds that have been constantly perpetuated by the European olive oil producers. We have written about these practices over the last few years. The fraudulent adulteration of European olive oil is big business and spoils the reputations of reputable Italian and Spanish exporters. The news item reported below is probably an account of one of the biggest crackdowns on the practice in recent years. One can hope that consumers are now wary of cheap olive oils and look for a quality endorsement on the label. Australasian olive oils will keep building their credibility for authenticity, quality and flavour. Police in Italy have arrested 23 people and confiscated 85 farms in an operation that has exposed the scale of the country’s fraudulent olive oil trade. 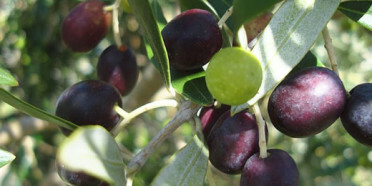 More than 400 officers took part in Operation Golden Oil after an investigation discovered as many as 91 people may have been involved in passing off low quality oil, made with olives around the Mediterranean, for the finest Italian product. Italy’s thriving fake olive oil business involves importing oil from Tunisia, Greece and Spain and re-labelling it as Italian oil. Other ploys include labelling inferior oil as extra-virgin olive oil and claiming EU subsidies for growing olives in Italy while actually importing them from elsewhere. Police found invoices to the EU for €6.5 million of subsidies during the raids, as well as receipts for €39 million of ‘Italian’ oil made with non-Italian olives. Not All Trans Fatty Acids are Equal! The effects of natural and industrially-produced sources of trans fatty acids on cardiovascular disease markers in healthy men and women were examined by a multidisciplinary research team from worldwide research institutes (TRANSFACT project). This study shows that trans fatty acids derived from natural sources versus industrially-produced sources yield different effects on cardiovascular disease (CVD) factors. Furthermore, results revealed that women are more sensitive than men to the effects of certain TFA. The TRANSFACT study, a collaboration between the French National Institute for Agricultural Research (INRA), Clermont-Ferrand, France, the Nestlé Research Center (NRC), Lausanne, Switzerland and the French Dairy Council (CNIEL), Paris, France, found that natural TFA – from milk, do not have the same impact on CVD risk factors as industrially-produced TFA. Results suggest that the deleterious HDL-C lowering property of TFA is specific to industrially-produced sources. Additionally, the biological responses to TFA were more significant in women than in men; the mechanism underlying these effects warrants further investigation. Research on trans fatty acids (TFA) and their potential effects on human health is of widespread interest to scientists and public health officials. Restrictions on the use of TFA are based on significant scientific evidence that industrially-produced TFA are detrimental to human health. Consumption of these TFA results in decreased levels of “good cholesterol” (HDL-C) and increased levels of “bad cholesterol” (LDL-C), markedly enhancing the risk of CVD. Interestingly, a similar study was recently performed by researchers at Laval University, Canada, evaluating the consequences of naturally-occurring vs. industrially-produced TFA on LDL and HDL cholesterol levels. Results revealed that consumption of moderate amounts of natural TFA do not alter CVD risk, whereas TFA from industrial sources did elevate LDL-C levels. These new findings suggest that consumption of TFA from natural sources, even at levels well above current human consumption, does not impact CVD risk. As indicated in the American Journal of Clinical Nutrition editorial by WC. Willett and D. Mozaffarian, the critical public health question remains – to find healthful ways to reduce intake of industrially-produced TFA. Nestlé, CNIEL and INRA are independently performing more in-depth studies to better understand the differential effects of trans fatty acids and their underlying biological mechanisms, to assist food safety agencies and regulatory authorities in providing recommendations for optimal CVD health. Reference: J.-M. Chardigny, F. Destaillats, C. Malpuech-Brugère, J. Moulin, D. E. Bauman, A. L. Lock, D. M. Barbano, R. P. Mensink, J.-B. Bezelgues, P. Chaumont, N. Combe, I. Cristiani, F. Joffre, J. B. German, F. Dionisi, Y. Boirie and Jean-Louis Sébédio. Do Trans Fatty Acid from Industrially-Produced Sources and from Natural Sources Have the Same effect on Cardiovascular Diseases Risk Factors in Healthy Subjects? Results of the trans Fatty Acids Collaboration (TRANSFACT) Study. American Journal of Clinical Nutrition. 2008; 87(3): 558-566. Obesity is considered “the most important nutritional disease” in the affluent countries of the world. Developing products to induce satiety is a strategy being commonly employed and we saw the launch of “Slim Shots” based on Fabuless (DSM Nutritional) in NZ last year. Now Lipid Nutrition has launched a product based on Pine Nut Oil which contains “pinolenic acid” all-cis 5,9,12-18:3, an isomer of gamma-linolenic acid. Today more than 30 peptide hormone genes are known to be expressed throughout the digestive tract, which makes the gut the largest endocrine organ in the body. A large part of these hormones are set off by food intake and play a role in adapting the body to a fed state. Two well known peptide hormones, CCK (cholecystokinin) and GLP1 (glucagon-like peptide 1), are released by specific endocrine cells that are incorporated in the lining of the intestinal tract. Upon contact with nutritional ingredients these hormones are released in the blood. These peptide hormones send signals of satiation to the brain which, subsequently reduce the intake of food (Fig. 1). CCK is the most widely investigated gut hormone and is considered to be a biomarker for appetite. Higher concentrations of CCK produce larger appetite-suppressing effects. In a quest to identify new appetite suppressing ingredients Lipid Nutrition used an in vitro assay of a human enteroendocrine cell line. In this assay they tested a battery of lipid-like agents for their CCK stimulating potential. Lipid ingredients were chosen because; previous research in humans has shown that fatty acids with chain lengths greater than C10 are effective in releasing CCK. Long chain fatty acids are more effective than medium chain fatty acids, and poly-unsaturated fatty acids are more effective than mono-unsaturated fatty acids. Of the different ingredients tested PinnoThin™ was selected as clearly the most potent ingredient in stimulating CCK production. Pinolenic acid which is a major component of PinnoThin™ was identified as the active ingredient. Following these promising in vitro results a human study was designed to establish the effects in the in vivo situation. An independent clinical trial carried out by a leading Dutch research institute has confirmed the effectiveness of PinnoThin™ in the daily situation. Oil Seed Extractions down in Ashburton are making strong progress with their business development in Gourmet oils. They recently achieved “Best in class “ and “ Best in show” for their cold pressed Walnut Oil at the Royal New Zealand show in Canterbury. Andrew Davidson, the managing director, is pleased with the progress of the company with a new logo, website, brochure and overall image for the company. Interest has been growing globally in the use of CLA as a weight control agent. FSANZ currently has two applications registered for the use of conjugated linoleic acid triglycerides as a novel food. These are A1005 and A 1004 which can be viewed on the website. The Chip Group has achieved a world first with the launch of a set of industry standards aimed at helping independent chip shop operators to make takeaway chips healthier. Details of “The New Zealand Standards for Deep Fried Chips in Independent Fast Food Outlets” have been gradually introduced to the industry last month. They comprise seven standards, as well as a recommendation from the Chip Group and the National Heart Foundation of New Zealand on which oils to use. CHIP SIZE: Use thick straight cut chips at least 13 mm. PORTION SIZE: Serve a recommended scoop size. 1 scoop = 330g (approximately 3 serves per kg). COOKING: Cook chips at a temperature of 175 – 180°C for between 3 – 4 minutes. Use a thermometer to check the accuracy of the oil temperature. DRAINAGE: Bang or shake the basket vigorously twice then hang it for at least 20 seconds. OIL MAINTENANCE: Maintain oil in good quality. Keep the fryer topped up with fresh oil. Filter oil as required. Cool oil and cover fryer when not in use. Discard oil completely when signs of degradation are evident. SALT ADDITION: Rather than salt the chips, provide salt sachets. e.g. Tips on Chips Internet Training or NZQA frying unit standards.